Milly hit 500 Premier League appearances on Saturday - & symbolised his value with an efficient display in a new position. James Milner reached the milestone of 500 Premier League games as he played 90 minutes during Liverpool’s thumping 4-0 win at Bournemouth. Yet again demonstrating his versatility, Milner played at right back and had a relatively quiet afternoon as the Reds romped to victory on the South coast. Milner has now played in every position for Liverpool apart from striker, centre half and goalkeeper. It was genuinely heart-warming to see Mo Salah pass his man of the match award on to Milner as a tribute to his milestone. The man himself was of course low key and is focusing on the games ahead in what is a critical week for the club. It is of course only 18 months since he spent a full season at left back and it is a testament to his durability that at 32, Milner is an old dog capable of learning new tricks. He slotted seamlessly into his new position and whilst I had him down as being one of our weaker players on the day, he didn’t stand out as being a fish out of water. He was confident, he was assured and he was able to get up and down the pitch. 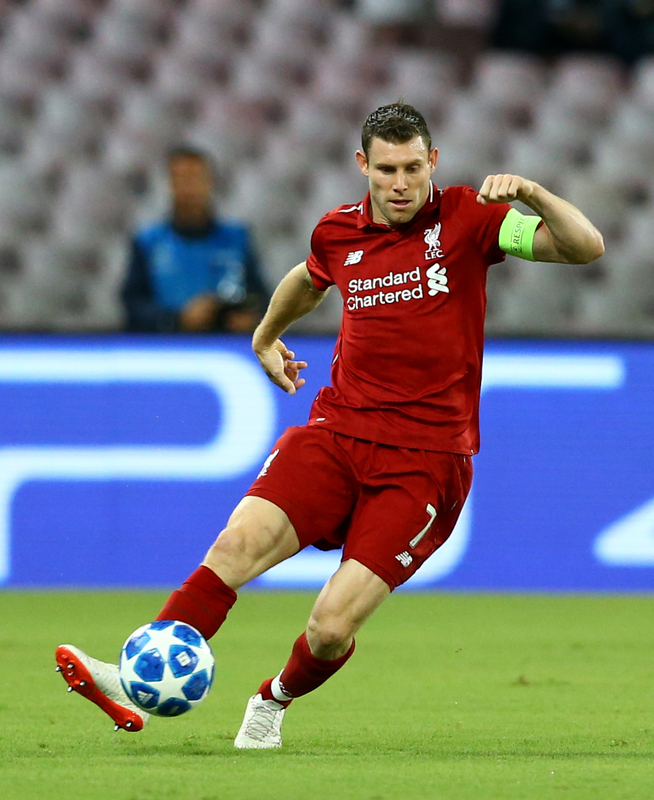 The latter is no surprise, Milner is one of the fittest players in the squad and this is doubtless one of the key ingredients to the fact he has reached the milestone of 500 games. He is a regular winner of the pre-season bleep tests. One of my friends calls Milner “Big Game James” and he has put in huge shifts in huge matches for us as well as scoring some crucial, high pressure penalties. He is likely to be a key component in what will be a huge run of games and with the Reds currently topping the table, his league winning experience will be key in trying to keep us there. Whilst Jürgen Klopp has reinforced his midfield with a huge financial outlay over the summer, there was never any doubt that Milner was going to be kept in the squad and feature regularly in the engine room. There are plenty of signs that both Naby Keita and Fabinho are very close to being up to speed, but Milner will still readily feature in that midfield. His appearance at right back was a temporary measure in order to preserve the fitness of Trent Alexander-Arnold and I would expect is a short term measure. His engine, his composure, his ability to press and frankly his ability to get stuck right in are all things that Klopp loves in a player and exactly what he loves about Milner. The Liverpool press has not been as evident this season as we have played with more measure and more control. That is inextricably linked to our defensive record, which is the best in our history after 16 games. But when the need to harass is there, Klopp has a perfect weapon at his disposal. Milner is doubtlessly entering the twilight years of his career, but with 18 months left on his contract, he will be 34 come its expiration. I have no doubt that he will get a one year extension at least. His experience is invaluable and his versatility means that he can offer quality cover in at least three different positions. Even if he was to play centre half, I have every confidence that he would do an excellent job but with the squad we have, you’d hope that is a long shot. He has slotted into whatever role he has needed without question and Klopp clearly loves him. He doesn’t set the pace as much as he once did because we don’t play with as much bravado, but Big Game James is welcome in my team any time. Here’s to the next 500 games.